A stove burns logs or pellets to heat a single room – and may be fitted with a back boiler to provide water heating as well. A boiler burns logs, pellets or chips, and is connected to a central heating and hot water system. A wood-fuelled biomass boiler could save you up to £800 a year compared to electric heating. Chips are used to heat larger buildings or groups of houses. Pellets are much easier to use and much more controllable than logs. 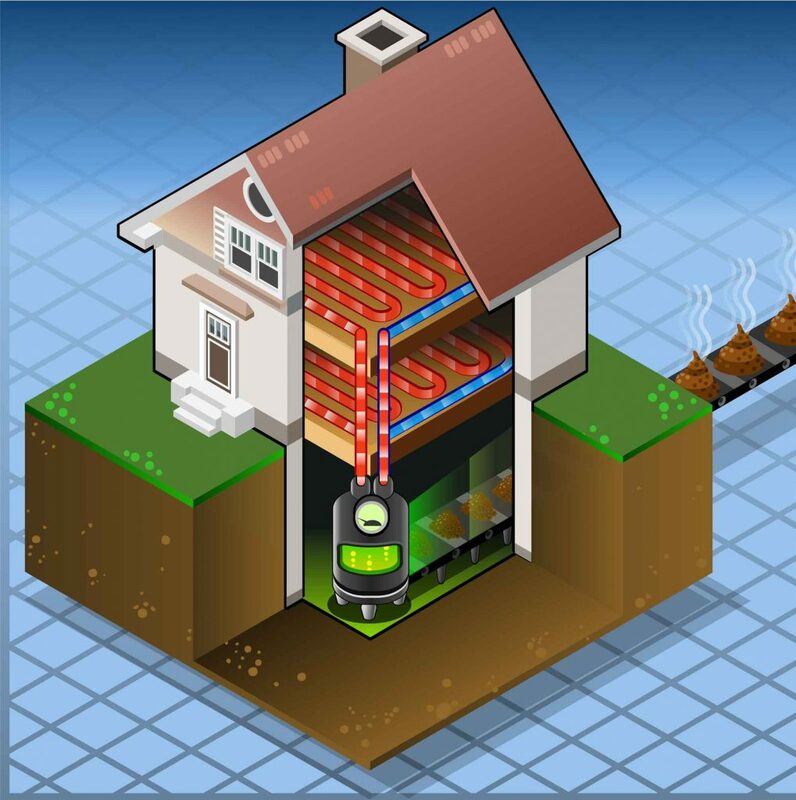 Pellet boilers can run automatically in much the same way that gas or oil boilers operate. Most pellet and chip burners use automatic fuel feeders which refill them at regular intervals. Log-burning stoves and boilers have to be filled with wood by hand and require considerably more work. You will need a lot of logs to heat a whole house, but they can be cheaper than pellets if you have a good local supply.